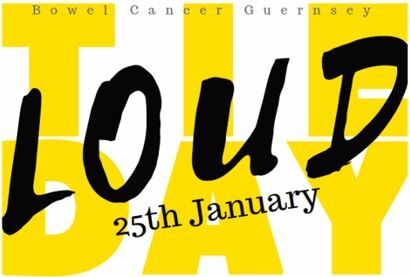 Member of the Association of Guernsey Charities No 247.
that bowel cancer is preventable and treatable if caught early enough. 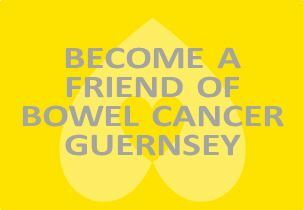 Bowel Cancer Guernsey was initially formed in 2002 as the Guernsey Bowel Cancer Awareness Charity, we rebranded in 2013 to reflect the greater awareness of bowel cancer in the Bailiwick and the part the charity plays in helping to get a positive message across to people throughout the islands. Our role is to actively promote the knowledge and understanding of bowel cancer within the Bailiwick and to encourage people to realise that bowel cancer is preventable and treatable if caught early enough. Our aim is to improve the awareness, prevention and diagnosis of bowel cancer within the Bailiwick. We are a member of the Association of Guernsey Charities No 247. For details of the services we provide click the read more links above.